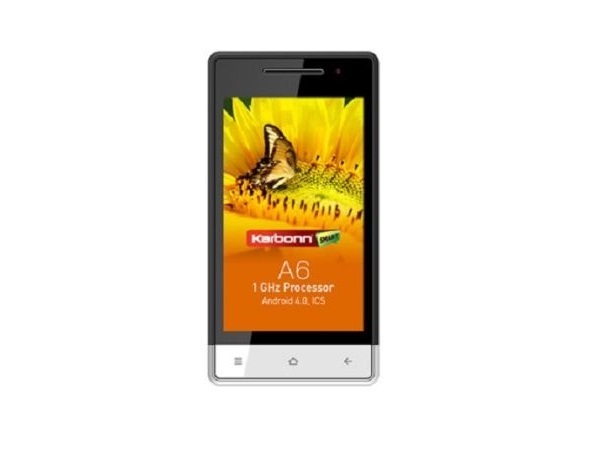 Karbonn A6 is a Dual SIM Android Touch Screen phone. Read on to know more about the price, latest features, and technical specifications. 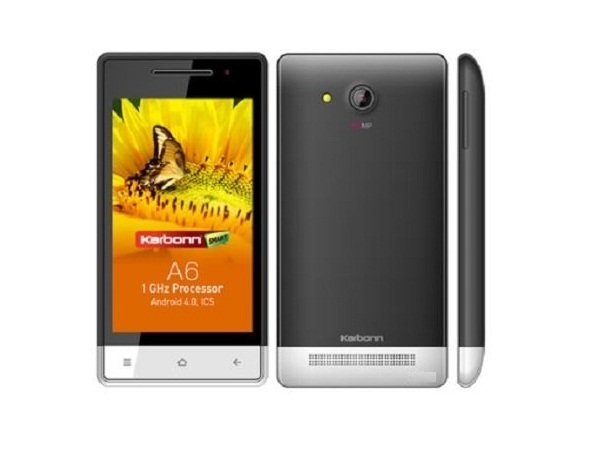 Karbonn A6 is an Android Touch Screen phone with Dual SIM feature. The device features 10.1cm HD TFT Touch Screen display. This new handset runs on the latest Android 4.0 Ice Cream Sandwich operating system and is powered by 1 GHz Processor. The ultra-thin handset comes in a classy smooth candy bar finishing with Black and White colors combination. The phone has 32GB of expandable memory. User can capture high-resolution and brilliant quality photographs through 5.0 MP HD Camera with LED Flash support. There is also a Camera at front which assists video chatting through the applications like Skype, Yahoo, and Gtalk. For entertainment, the phone is preloaded with Music Player, Video Recorder, FM Radio, Video Player, Embedded Games, Mobile TV, etc�. User can browse, download, and share files or other content from phone to another through the connectivity features like Wi-Fi, EGPRS, WAP, and Bluetooth. The phone is bundled with 1450mAh powerful battery which provides excellent talk time offer up to 3.5 hours and standby time of up to 250 hours.